When the two nerves fused together, MaryAnne was left in unrelenting, excruciating pain. Being the mother of a young son and married to a philandering brute of a husband when the accident occurred, the family disallowed the use of any medicine because it was against their religion. After fourteen years of agony, doctors were finally able to perform a unique surgery known as intraspinal rhizotomy. This story weaves together the idea of family and faith, while also creating a sense of longing in the reader’s own life for something bigger than themselves. Mommy’s Writings is the extraordinary memoir of the love between a mother and her young son, and a great-grandmother whose intense devotion to the two of them kept their little family together. It is a story of faith in God, of forgiveness and acceptance, and of gratitude. 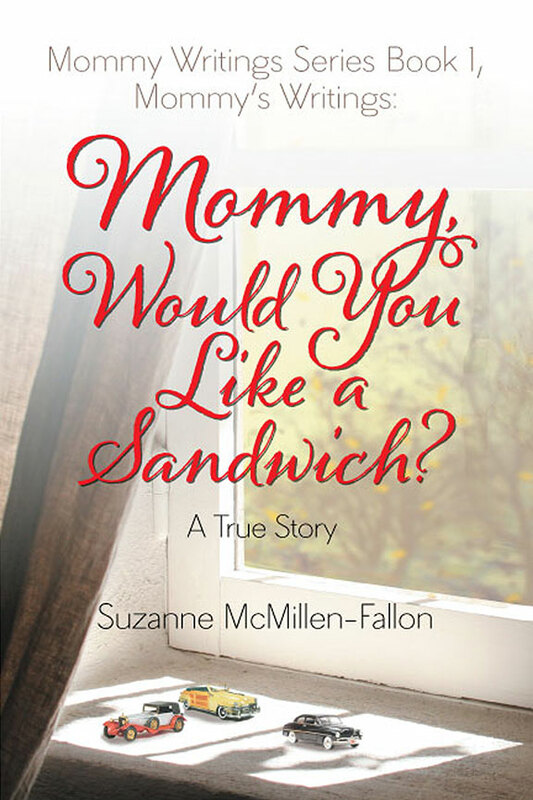 When defining who she is, Suzanne McMillen-Fallon writes, “Mother of Chad C. McMillen and author.” In her younger years, she was an artist. After the 1983 surgery, she is a published writer of poetry and prose, and co-authored the book Shadows of Yesterday with her late second husband, Gene Fallon. Her next book, Parallax Crossroads: Finding My Way continues the Mommy Writings Series. The author’s son Chad C. McMillen is shown at nearly five years of age. As an adult, he is a PMI Project Management professional.